So yesterday morning I made the decision to swap over Nila’s bottles for a beaker. I don’t even know where the idea came from but I was literally just sitting down and thinking about Hingis - as you do and thought it was a good time to do the transition. 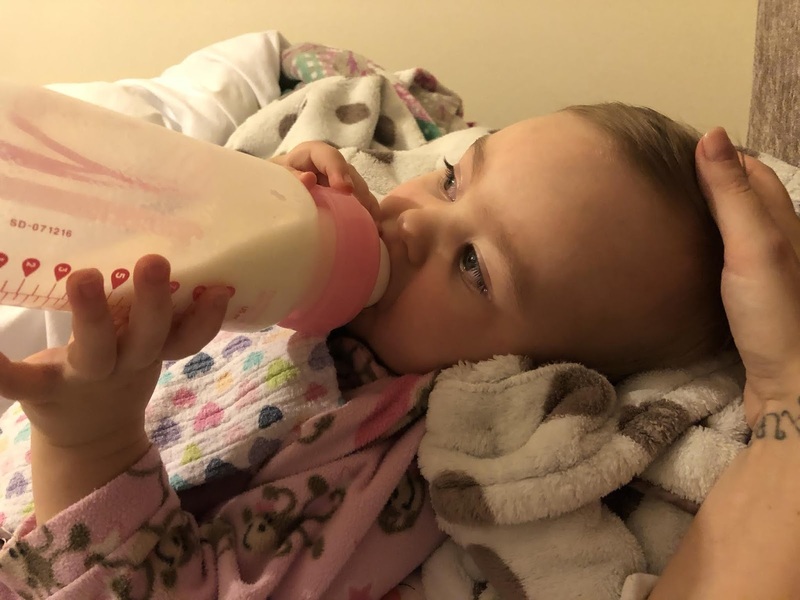 So last night was her last bedtime bottle and honestly , I felt really sad . I just lay there looking st my baby thinking how the hell has 17 months gone by already. I swear the more kids you have the faster they grow! My eldest is 16 next year and I wish I could just roll back the clocks for a little bit longer . Does anyone else feel like that? . I’m sure we all do at some point . It’s natural I guess to feel a little sad but also proud when they hit and reach milestones in life. 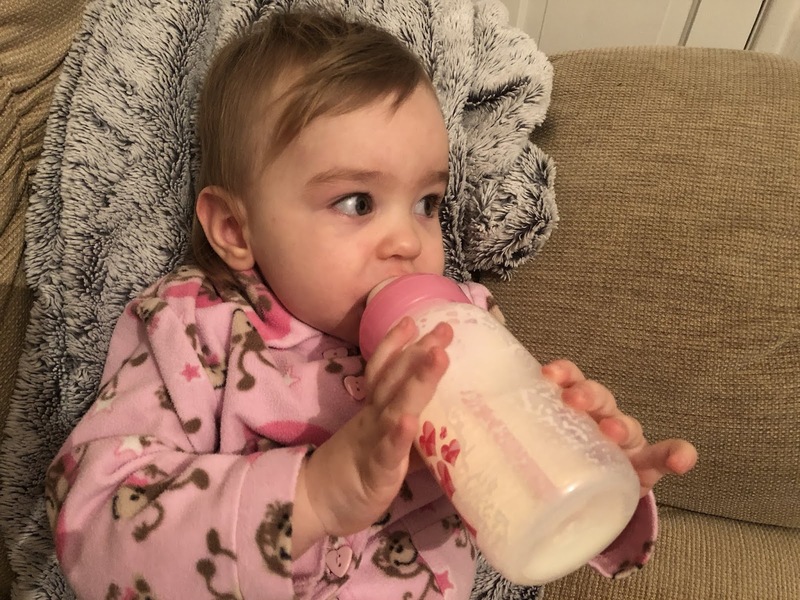 I must admit though , she does love a bottle and when it’s finished she screams blue murder - although that could just be because she’s a greedy little munchkin and wants more Milk! :) but we will soon find out . This morning was her last morning bottle and I tried to capture the moment and soak it all in - aswell as get the other two ready for school, all about multi tasking in this house , let me tell you! I’m writing this whilst she’s having her morning nap and I’m just watching her . My little baby no longer having bottles. No more sterilising - which I am slightly happy about actually. Let’s see what tonight brings . A nice warm beaker if milk. I am sure she will be fine and as long as she has her dummy for bed I don’t think she will really notice that the bottles are gone. I’m hoping she doesn’t anyway. Mum life eh! The guilt , the joy, the happiness , the sad times . The biggest massive rollercoaster we are on for the rest of our lives . Ahh , yes I agree a complete rollercoaster! I hope she didnt really notice the switch ? She'll be off to college soon! Reminds us to cherish every moment. Thanks for writing this.